Today I’m delighted to welcome Andy Miller to discuss his passion for the work of Jean Rhys. Andy describes himself as a reader, author and editor of books – his most recent book, The Year of Reading Dangerously, is an account of a year-long expedition through literature: classic, cult and everything in between. 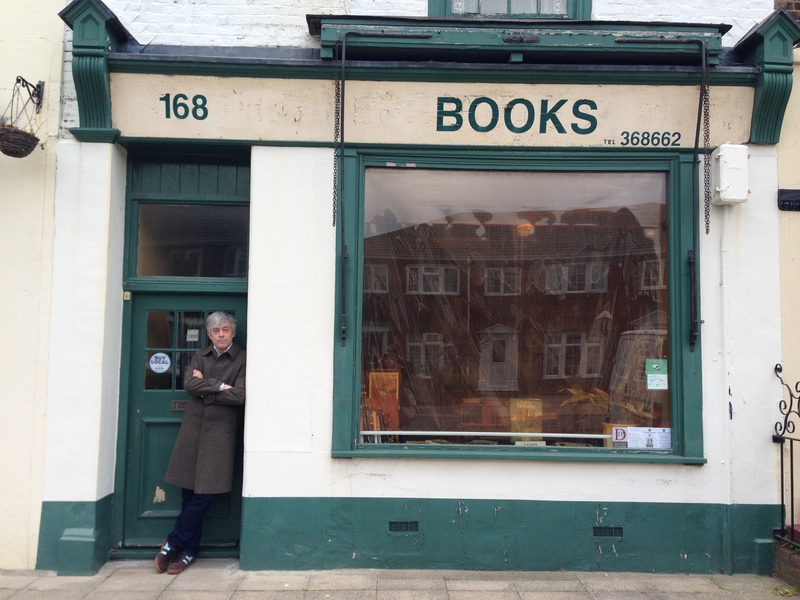 Alongside his role as co-host of Backlisted, a series of podcasts designed to give new life to old books, Andy is also the reader in residence at this year’s Durham Literary Festival. Andy is a huge fan of Jean Rhys’s work. In fact, the Backlisted team – ably assisted by the author Linda Grant – covered Rhys’s 1939 novel ‘Good Morning, Midnight’ at the end of last year. There’s a link here — do listen as it’s an excellent discussion of the book. So I was thrilled when Andy kindly agreed to speak to me for #ReadingRhys. This is the first of two posts running over consecutive days, so I’ll hand you over to Andy (AM) for part one of our discussion. AM: Jean Rhys is probably my greatest literary enthusiasm of the last 10 years, or since I finished working on The Year of Reading Dangerously, or both. She is unique. It’s an article of faith for me that when you’re in your late forties you can still find books which make you feel the way you did when you were a teenager, which excite you and make you view the world differently. It’s harder to do as you get older – you have to look under more rocks [LAUGHS]. But not only am I a huge admirer of Rhys’s work, and her 1930s novels in particular, I also feel as though Jean Rhys has opened the door for me to other women writers such as Anita Brookner, Elizabeth Taylor or Sylvia Townsend Warner, all of whom I love and all of whom, to some extent, share a similar sensibility. So, very significant. JW: How did you come to Jean Rhys in the first place? What in particular prompted your interest in reading her? AM: Having never read anything by her, I tried Wide Sargasso Sea (WSS) during The Year of Reading Dangerously, as a good partner for Jane Eyre as much as anything. I thought WSS was a very good book and that it was accomplished and multi-layered – it’s not just about the characters’ relationships, it’s also about colonialism and the subjugation of women and how ‘classic’ literature had tended to represent those subjects, and so on. It was self-evidently ‘a classic’ itself but if I’m being honest it didn’t really grab me at that time – I mean, I thought it was really good but I wasn’t passionate about it. And then about five years later, I was talking to somebody about WSS, and they asked if I had ever read any of Jean Rhys’s 1930s novels, which I hadn’t at the time. They recommended After Leaving Mr Mackenzie (ALMM) as something I might enjoy. I read ALMM, and thought ‘Oh I really like this. This is the sort of shabby, 1930s London scenery of Graham Greene or George Orwell or Patrick Hamilton. But the prose is more experimental than any of those writers’ prose – and, hmm, the author is a woman.’ That seemed really unusual for that era. Then I read her short-story collection, Tigers are Better-Looking (Tigers) – and that was the moment, the one where I thought ‘Oh wow, this is my new favourite author!’ It knocked my socks off. And I think it’s true of some writers; if they have a particularly distinctive voice, it can take the reader a little while to tune into it. WSS is not perhaps the best introduction to her voice; it’s a brilliant novel in its own right, but the things I like about her writing, and which I think are unique and remarkable about it, are perhaps found elsewhere. JW: Let’s develop that theme a little further. What in particular struck you about the voice in those early novels and stories? In other words, what are the things that speak to you? AM: At first, as I said, it wasn’t the voice but the setting of these books, that kind of demi-monde London or Paris, the very seedy (for want of a better word) world of lodgings and bars and never being warm enough, that appealed. That’s the landscape of the early Graham Greenes like England Made Me or The Ministry of Fear. Or it’s Patrick Hamilton’s Hangover Square or Twenty-Thousand Streets Under the Sky, or George Orwell’s Keep The Aspidistra Flying or Coming Up for Air. I love that setting. But then Rhys does something very different with it. I’m not saying that’s laugh-out-loud funny, but there’s a kind of brutal, brittle wit being directed at herself. It’s defiant isn’t it? And I think you see that a lot in her early books; you don’t see it so much in WSS, fascinatingly. I think maybe that voice had outlived its purpose by that time, and perhaps one of the problems that she had in writing WSS, which took twenty years or something, was feeling her way towards a new and more solemn way of expressing what she wanted to express. JW: A number of things strike me about Rhys’s early novels, running themes if you like. These include the sense of being the outsider, someone who is not accepted by society, the feeling of being marginalised, particularly by other women. I was wondering if you’ve noticed these things as well, and if so, perhaps you could say a little about these aspects of her work. JW: Even so, I feel a huge amount of sympathy for the woman in these books who are, as we have said, the various versions of Jean Rhys herself. But there is this sense of the women in her books feeling very suspicious of other woman, that there is this marginalisation by other women and a sense that ‘respectable society’ is frowning on them and judging them on a constant basis. AM: She has no home, the Jean Rhys character, that’s a literal truth for her. She is an outsider; she is an exile. She’s in exile from the place of her birth, we know that, but she’s also in exile from society in all sorts of ways: the single woman growing older who has been forced at times to turn to prostitution; the alcoholic, which we know she was. And she’s always dispossessed and has little or no money. So she has this incredible empathy for people who don’t fit, and in a sense that’s why I think she would recoil from the idea of herself as a spokesperson for women. I don’t think that’s where she’s coming from; as Linda says, she’s not a sister! And yet at the same time I can see why one could read her books and find them profoundly feminist because they articulate a female experience in an era when few other writers were articulating that experience. AM: No. I’ve been reading quite a lot of Anita Brookner recently. I had read a few over the years, but I read Latecomers after she died – an extraordinary book. That sent me back to the beginning, and I just read her third novel, Look at Me, about a month ago, and it is also the most incredible book. Actually, it reminded me a lot of Jean Rhys in certain respects, that book, the mixture of humour and gentility and self-loathing, all those things mingled together, and exquisitely well written word for word. In her Paris Review interview Brookner says this marvellous thing about Rhys. She admires her work but also says, ‘she [Rhys] is too limited by her pathology’ – which is a valid criticism but of course is also just the sort of thing certain critics used to say about Anita Brookner [LAUGHS]. JW: Fascinating comparison with Brookner, Andy. Funnily enough, I’m just in the process of reading one of her early novels, Providence. Let’s leave it there for the moment and return to Rhys tomorrow. We hope to see you again tomorrow when we’ll be discussing other elements of Rhys’s work including her prose style and the relevance of these books in today’s world. 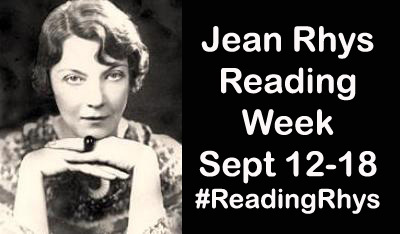 This entry was posted in Book Reviews, Jean Rhys Reading Week, Rhys Jean and tagged Andy Miller, Fiction, Interview, Jean Rhys, Jean Rhys Reading Week, Penguin Books, Penguin Modern Classics, Short Stories on September 16, 2016 by JacquiWine.